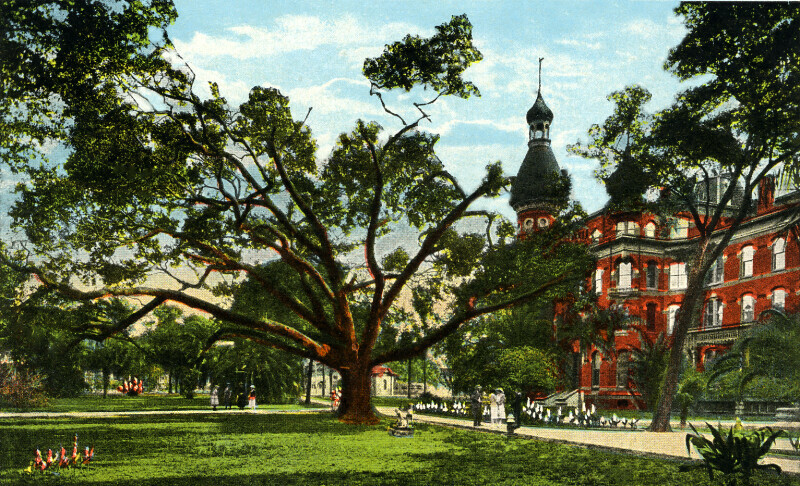 There is a large, sprawling, oak tree outside the Tampa Bay Hotel. One of the hotel's distinctive silver-domed minarets is visible. There are a few people congregating on the grand promenade.